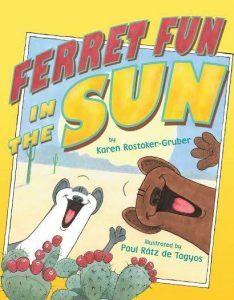 Two Ferrets–Fudge and Einstein are going on vacation with Andrea, their owner, to Arizona. Fudge doesn’t want to go. He likes to relax in his hammock. Einstein likes action and can’t wait to explore.